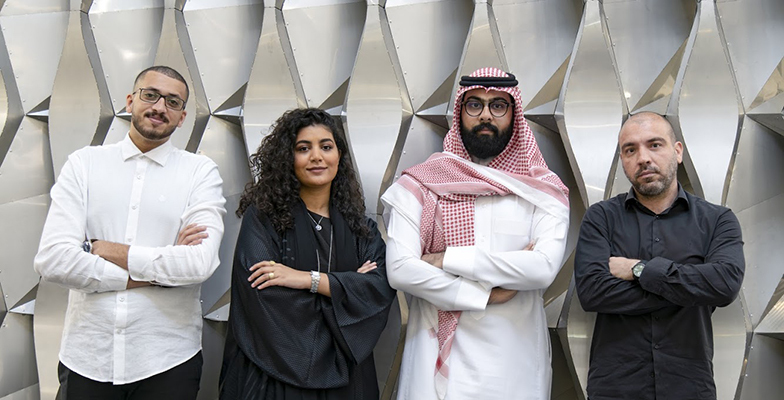 Three students from American University of Sharjah’s College of Architecture, Art and Design were awarded The Christo and Jeanne-Claude Award 2019 earlier this week, receiving US$10,000 to construct their winning design ahead of its unveiling in November later this year. Now in its seventh year, the prestigious award was presented under the patronage of Sheikha Shamsa Bint Hamdan Al Nahyan by NYU Abu Dhabi (NYUAD), in partnership with Abu Dhabi Music & Arts Foundation (ADMAF) and aims to encourage the creation of new artwork for the region. The award-winning trio—Falwah Alhouti, Ibrahim Abdellatif and Omer Al Raee from Saudi Arabia and Egypt—will now work together to complete their installation, entitled SILA, under the mentorship of Juan Roldan, Assistant Professor of Architecture at CAAD, and the guidance of NYUAD museum professionals. "Throughout our education, we have gained a critical eye of the world around us and realized how the UAE as a country stood out with its idea of culture. Therefore, our approach was to embody this unique sense of identity through design. The SILA installation is an interpretation of an Emirati folkloric dance called Al-Ayyalah. This dance portrays the history of the United Arab Emirates through a combination of enchanted poetry, drum music and rhythmic movements. SILA will represent the ethos of this dance that celebrates unity and pride,” the students said. Roldan said the CAAD students have been well prepared for the process of building their design through the college’s rigorous approach to design and build learning methodologies. "The Christo and Jeanne-Claude Award is a great opportunity for CAAD as an educational institution. These kinds of opportunities allow us to transform our students’ ideas into built artefacts, tangible projects that transcend the limited drawn reality. This is already an essential part of our educational model at CAAD: we design and make. This is one of our mottos, one of our most important commitments as educators," said Roldan. The students will construct the installation themselves utilizing the facilities housed within the College of Architecture, Art and Design. The CAAD Labs feature a series of Material Labs for woodworking, metalworking, pottery and casting; Fabrication Labs for laser cutting, 3D printing, CNC cutting and industrial robotics; and Media Labs for audio/video production, photography, printmaking and physical computing. After its completion, SILA will be on temporary display at the NYUAD campus starting in November this year before touring other locations. For more information about the College of Architecture, Art and Design and its exceptional students, faculty, facilities and programs, visit www.aus.edu/caad.